Hello and thank you once again for joining me down at the crossroads for some music, magick, and Paganism. Where witches gather for the sabbath, offerings are made, pacts are signed for musical fame and we cross paths with today’s most influential Pagans, occultists, and deep thinkers. 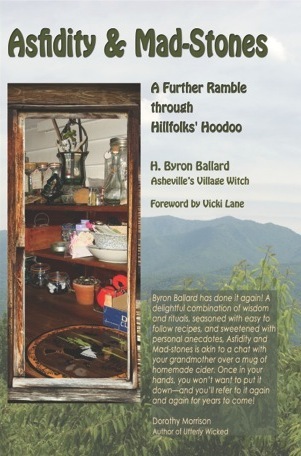 I am your bewitching, bald headed, host Chris Orapello and tonight Tara joins us as we sit back down with the Appalachian Hillfolks Hoodoer herself Byron Ballard where we seemingly discuss everything under the Sun and Moon except her recent book Asfidity and Madstones, a further ramble through hillfolks hoodoo. The rabbit trails are strong with this one, but the conversation we have is not to be missed. Tara and I catch up with Byron as we also discuss her book, social media, and some of the current issues in the Pagan community.